Windows 2012 | Hope you like it.. The Group Policy is not getting updated or Propagated to all the workstations / users. 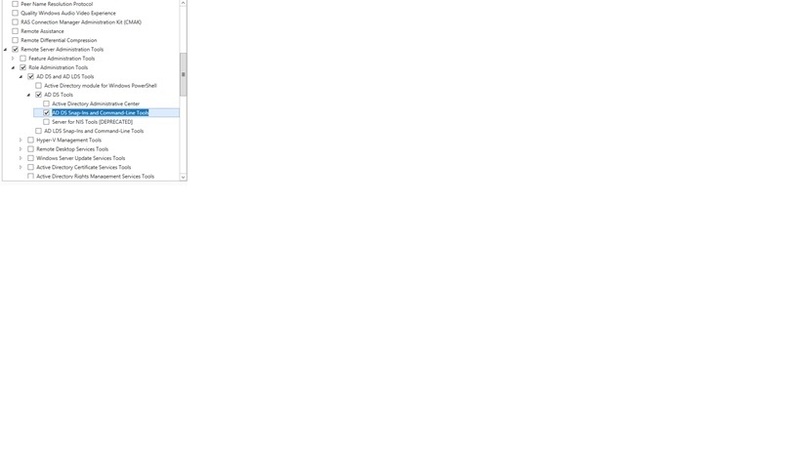 So when we started troubleshoot we tried to ran the commands stated in the Eventviewer(refer attached file) but no avail. By default in Windows the is set to 60 Days. In our case we need to extend it upto 1800 days where there was an offset of more than 1000. so we ran the command to force the servers to allow the content freshness for more than 1000 days. Run the below command to force Active Directory replication throughout the domain and validate its success on all DCs. Start the DFSR service on the other non-authoritative DCs. You will see Event ID 4114 in the DFSR event log indicating SYSVOL is no longer being replicated on each of them. I am listing the below articles which helped me in the initial troubleshooting. Added the start and stop DFSR commands. In many AD installations I do come across requirements to create multiple users in Active Directory(More than 200 in many cases) .In these cases we could use the below mentioned CSV template and use the PS command to directly import the users in to Active Directory. Import-CSV C:\anyname.csv | New-ADUser –AccountPassword (ConvertTo-SecureString –AsPlaintext “any complex password” –Force) –PassThru | Enable-ADAccount. On the RD Session Host Configuration when you tried to assign the SSL certificate which you obtained from any vendor you will receive the message in the title. As you see the Personal Information Exchange option is disabled as this is because the SSL certificate does not have the private key. 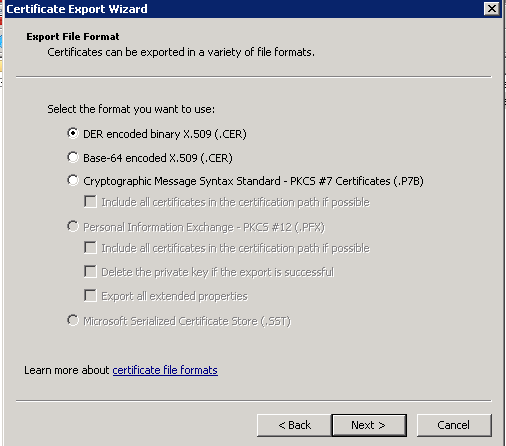 That’s it now you could the export the cert as .pfx and re-import it on Personal and Remote Desktop containers in Certificate Snap-in. Finally you could select the SSL on RD Session Host configuration. I would like to share my experience related to the above error. 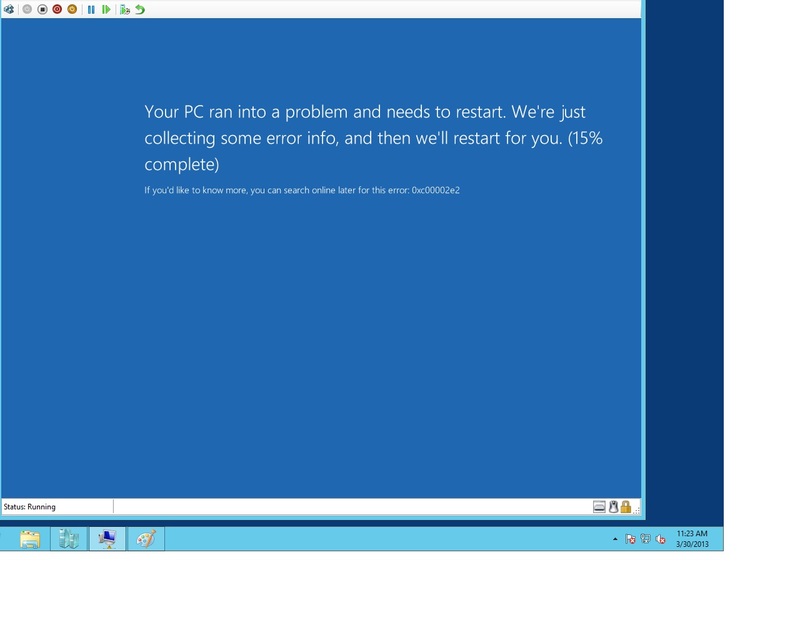 Recently we received a call from our customer saying that 2 VM’s were not booting. We were in panic mode as these 2 servers are the domain controllers and the backup software which was supposed to do the BMR also failing. Thereafter when we contacted Microsoft Support the team identified the error is due to the “nsrbbwi” key which being added on the Registry by our EMC Networker Backup Tool and once it was removed the servers booted normally. Recently I faced an issue with a customer where we have installed a Windows 2012 Additional Domain Controller as a Virtual Machine on Hyper-v Server , he was getting the below error. Since I had to meet the SLA on solving the ticket , I decided to re-install the Additional Domain Controller on the same name ,which will avoid me of Cleaning the metadata and other complex task. So I performed the follow steps. Change the name to my previous Additional Domain Controller name. Add-WindowsFeature AD-Domain-Services –> This will install the Active Directory Domain Services. That’s all it will promote the new server as a domain controller , you do not need to do anything on DNS or other related services. Voila… My problem was solved . Good luck Guys….